This symposium features three dynamic speakers who are deeply involved in climate science research and activism around climate justice. This event will engage students, parents, and the broader public around the challenges posed by the climate crisis while also envisioning creative ways forward to more hopeful and fossil free futures. Dr. Persad uses numerical modeling to study climate change, impacts, and mitigation. In particular, she uses global climate models to study the role of anthropogenic aerosols—the solid and liquid particles emitted into the atmosphere whenever humans burn stuff—in regional and global climate change. She combines this scientific understanding with economic and policy analysis to explore how the shifting global landscape of these short-lived, but potent, human emissions will impact health, infrastructure, and mitigation decisions. 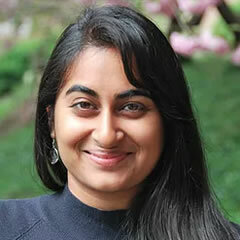 Geeta is currently a Postdoctoral Research Scientist at the Carnegie Institution for Science’s Department of Global Ecology at Stanford University. A climate culture-jammer, visual storytelling educator, and aspiring animator for social change, Ryan has devoted his organizing work to embodying rooted values of intersectional justice and anti-oppression. Camero’s activism originated from the needs of his hometown Stockton, California, to instill cross-cultural understanding and intergenerational harmony through the arts; fighting against apathy, illiteracy, systems perpetuating gang involvement and murder rates, poverty and lack of opportunity. 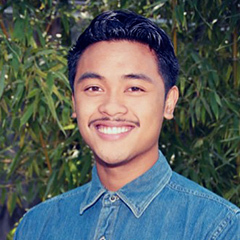 Since then, Ryan’s theory of change drove him to coalition building across the nonprofit sector- notable examples include working as a student facilitator for the California Student Sustainability Coalition, as a water rights campaigner with Restore the Delta, and as a storytelling educator for international arts-activist group, the Beehive Design Collective. He is a 2015 Brower Youth Award winner, the most prestigious award for young environmental leaders in the country, and represented California at COP21 – the international climate negotiations in Paris. Through a strategic partnership with Movement Strategy Center, Nwamaka Agbo currently serves as the Program Manager for Restore Oakland – a joint initiative of the Ella Baker Center and Restaurant Opportunity Centers United. 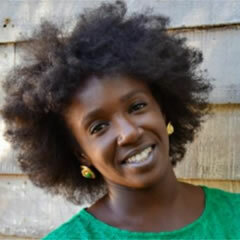 As the Director of Programs at EcoDistricts, Nwamaka was responsible for leading Target Cities – a pilot program designed to support 11 innovative neighborhoods in 9 cities across North America in applying the EcoDistricts Global Protocol to help accelerate and achieve their district-scale sustainability goals. Prior to that, Nwamaka worked at the Ella Baker Center for Human Rights for over six years in a range of positions spanning from Policy Director, to Campaign Director and Deputy Director. During her tenure at the Ella Baker Center, Nwamaka helped to support the launch of the Oakland Green Jobs Corp and later went on to develop the organization’s Oakland-based Soul of the City civic engagement campaign.